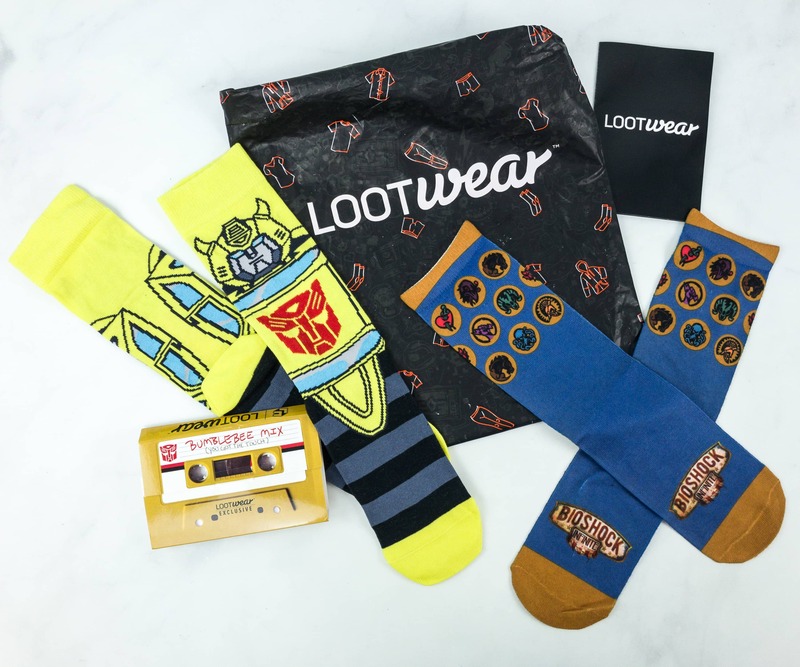 Loot Socks February 2019 features Transformers and Bioshock Infinite. Here’s the review of the geeky sock subscription + coupon! Loot Socks October 2018 features Buffy the Vampire Slayer and IT. Here’s the review of the geeky sock subscription + coupon! The theme was CURSED! Loot Socks January 2019 features Black Mirror and Bob’s Burger socks. Here’s the review of the geeky sock subscription + coupon! The theme was BINGE! 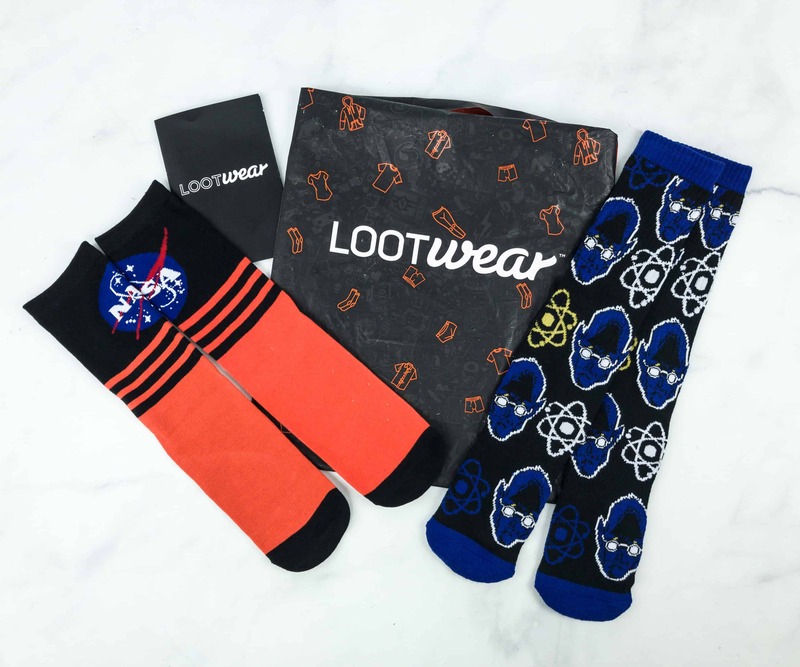 Loot Socks November 2018 features NASA and Beasts socks. Here’s the review of the geeky sock subscription + coupon! The theme was LABORATORY! Loot Socks September 2018 features Venom and Alien socks. Here’s the review of the geeky sock subscription + coupon! The theme was INVADERS! Loot Socks August 2018 features exclusive Fight Club and Deadpool Socks. Here’s the review of the geeky sock subscription + coupon! The theme was MAYHEM! Loot Socks June 2018 featured Jaws and Katamari Damacy! Here’s the review of this geeky sock subscription + coupon! Ant-Man and Power Rangers are featured in July 2018 Loot Socks! Check out the review + coupon code! Archer and The Big Lebowski were featured in Loot Socks May 2018! Check out the review + grab coupon! Captain America and Adventure Time are featured in April 2018 Artifacts-themed Loot Socks! Se my review + coupon! Wonder Woman and How To Train Your Dragon are featured in Loot Socks February 2018! The theme is PROTECT – here’s the review & coupon code! Harry Potter and Fraggle Rock are featured in Loot Socks January 2018! The theme is DISCOVER – here’s the review & coupon code! Kill Bill and Firefly are featured in Loot Socks December 2017! The theme is EXPLORE – here’s the review & coupon code! Loot Socks November 2017 theme was UNITE 2.0! Read the review + grab coupon code! Loot Socks October 2017 theme was MYTHICAL! Here’s the review + coupon code! Loot Socks September 2017 theme was ROBOTIC, with items from Invader Zim and Futurama! Here’s the review + coupon code! Rick and Morty + Kingdom of Hearts were featured in Loot Socks August 2017! See our review of this Loot Wear monthly subscription and grab coupon code! 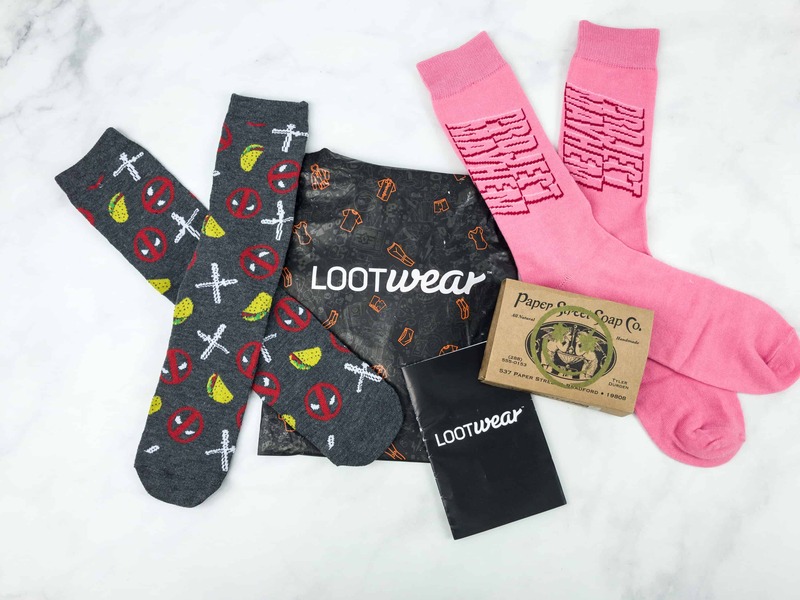 Loot Socks is one of the Loot Wear monthly subscriptions from Loot Crate. The July 2017 socks were Bugs Bunny & South Park! Check out the review! 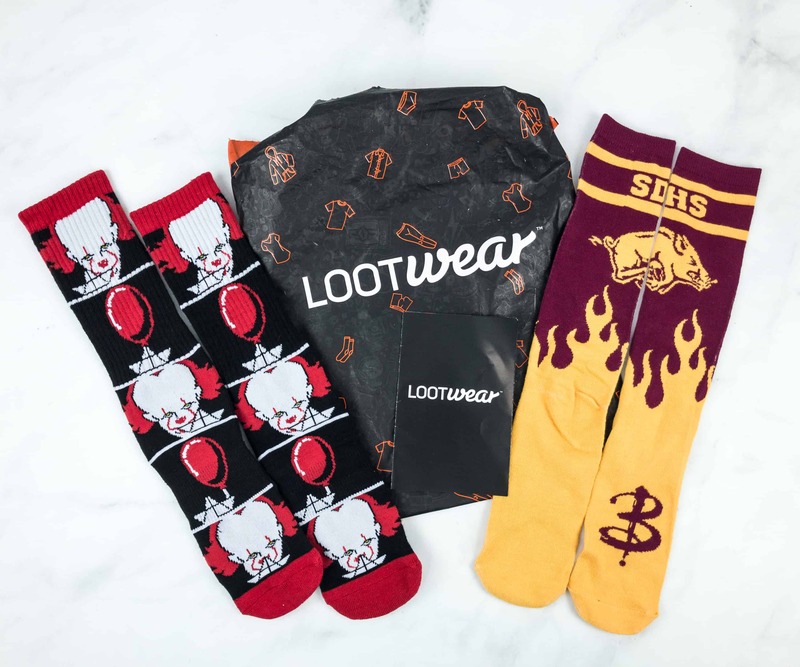 Loot Socks is one of the Loot Wear monthly subscriptions from Loot Crate. The June 2017 socks were Spider-Man and Jay & Silent Bob! Check out the review! 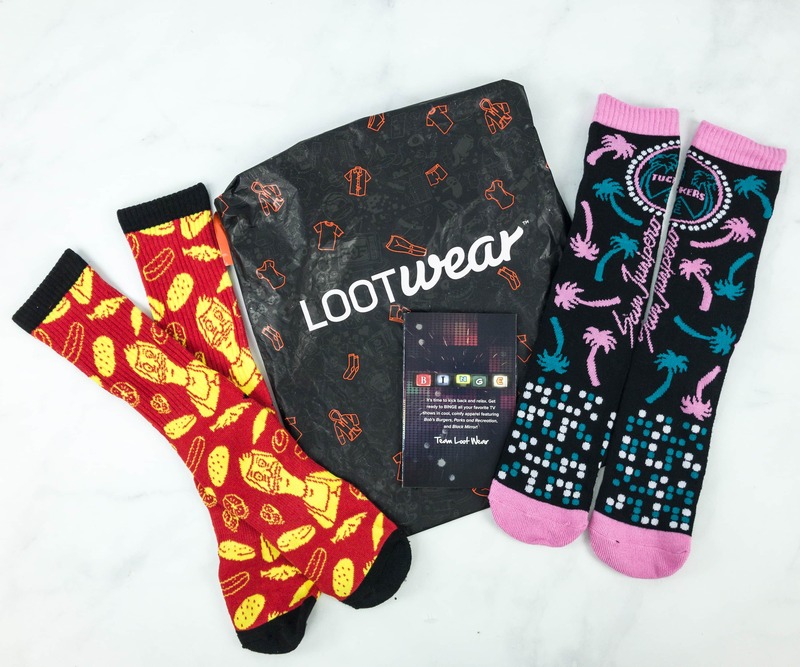 Loot Socks is one of the Loot Wear monthly subscriptions from Loot Crate. The May 2017 socks were Marvel! Check out the review! 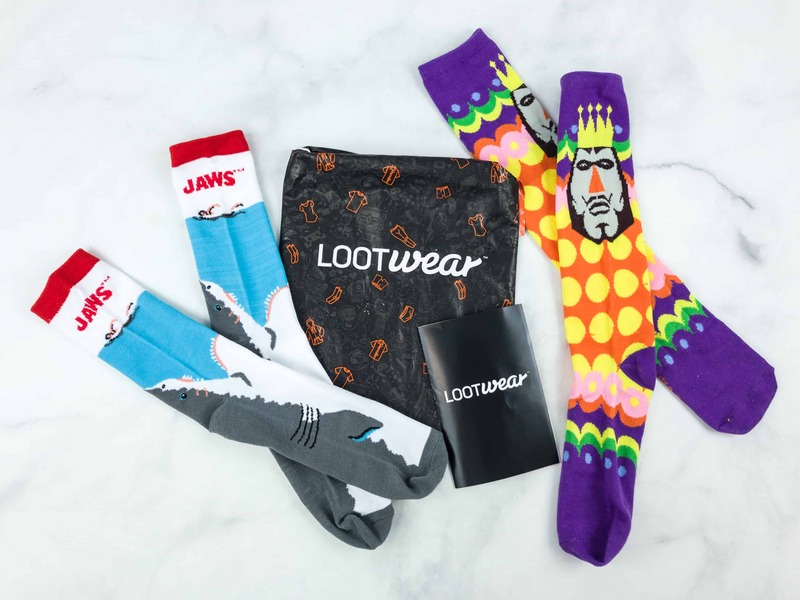 Loot Socks is one of the Loot Wear collections of monthly subscriptions from Loot Crate. The April 2017 socks were Batman! Check out the review! Loot Socks is one of the Loot Wear collections of monthly subscriptions from Loot Crate. The March 2017 theme was PRIMAL! Check out the review! Loot Socks is one of the Loot Wear collections of monthly subscriptions from Loot Crate. The February 2017 theme was BUILD! Check out the review! Loot Socks is one of the Loot Wear collections of monthly subscriptions from Loot Crate. The January 2017 theme was ORIGINS! Check out the review! Loot Socks is one of the Loot Wear collections of monthly subscriptions from Loot Crate. The December 2016 theme was REVOLUTION! Check out the review! 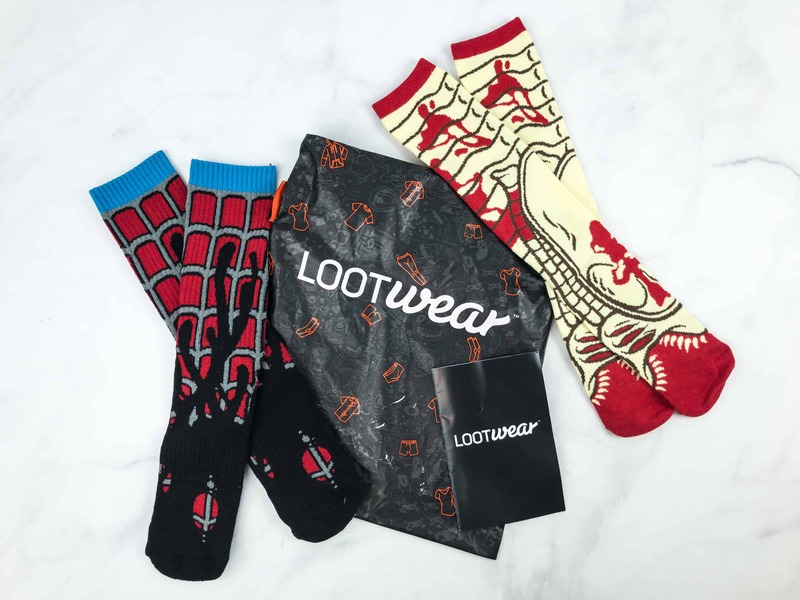 Loot Socks is one of the Loot Wear collections of monthly subscriptions from Loot Crate. This month’s theme was MAGICAL. Check out our November 2016 review! Read our review of the October 2016 Loot Wearables + Loot Socks bundle. You can subscribe separately or together for cost savings! The September 2016 Loot Wearables (Transformers) + Loot Socks (Deadpool + Sonic) – subscribe separately or together for a cost savings! Check out the review! August 2016 Loot Wear review of Wearable + Loot Socks + coupon code! July 2016 Level Up (now called Loot Wear!) review of Wearable + Loot Socks + coupon code!